Shows » Are Birds Nests Reused? Let’s talk about nests. Every spring, robins build their cup-shaped nests using grass and mud. Orioles weave a hanging sack. It’s hard work, and yet once the chicks fledge, the structures probably won’t be reused. But bigger birds, such as herons, hawks, and eagles, often reuse a nest for many years. 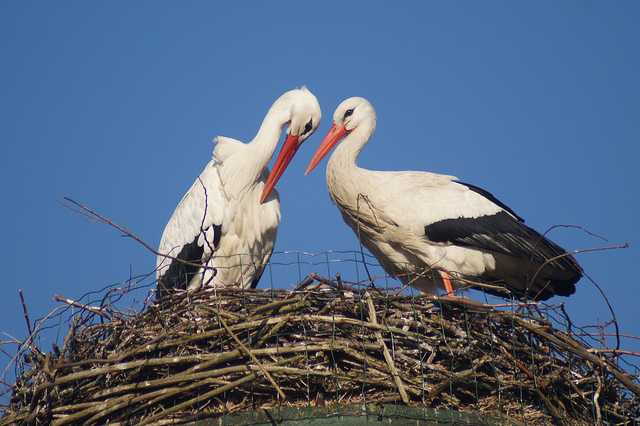 Europe’s migratory White Storks — like those pictured here — get the award for best reuse. One nest site, still used in 1930 and likely seeing many repairs, dated back to 1549. That’s a continuous series of stork pairs nesting in one spot for 381 years! It takes a week or two, it’s hard work, and yet once the chicks fledge, mostly the structures won’t be reused. Apart from an oriole scavenging for parts if they return to the old neighborhood next year. 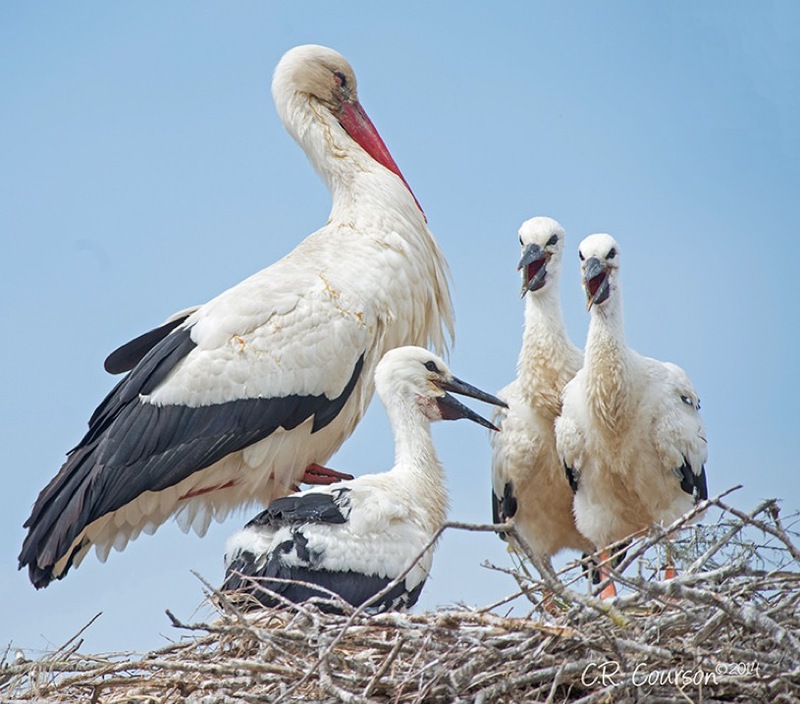 Oldest White Stork nest cited in Paul Ehrlich, et al., The Birders Handbook, p. 371. Cliff Swallow and Bald Eagle nest facts from BNA Online.